Please note:This Kitchen Image is NOT the New KITCHEN ( shown for scale only).See New Kitchen Description below. 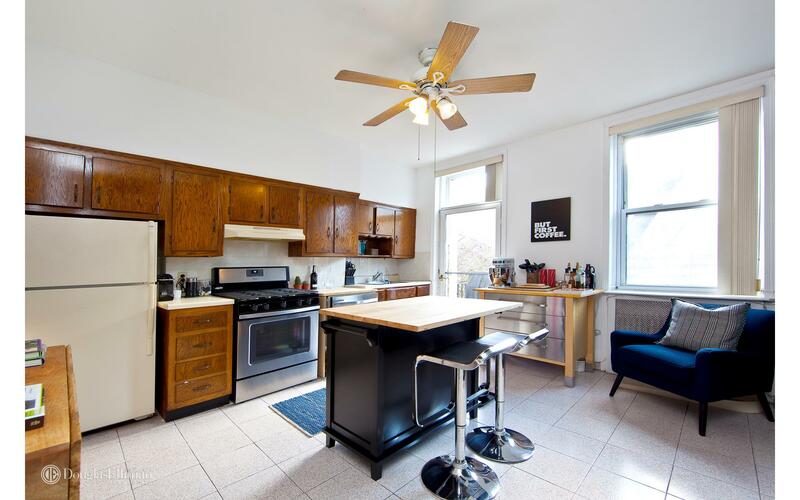 Approximately 1000sqft this Two Bedroom North Carroll Gardens gem is an off season opportunity ....so kindly pay attention :-). UPDATE as of NOVEMBER 21 : December 15 or January 1 start date now confirmed . Kitchen almost done and Bathroom too ! 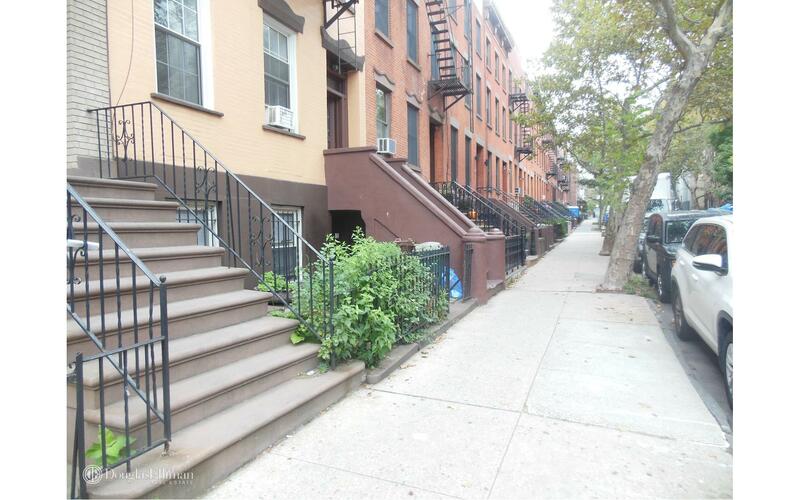 YEA !This is a 22FT Width Townhouse and the LOCATION could not be finer with easy access to many subway lines ,a park around the corner and Sunday farmers market ! The renovation in progress is tasteful with much attention to detail. The owners have knocked down a wall to create an enlarged and generously sized bathroom while also customizing a wonderful eat-in kitchen ! This rental has some additional perks that include an exclusive patio and garden ( fig trees too) ,an in unit washer/dryer and extra storage. Bring your bikes ! Here are a few kitchen and bathroom details. Lets start with the Eat-in Open Kitchen. The owners have selected stainless steel appliances including dishwasher and microwave. Grey Cabinetry is absolutely fashion forward with a white quartz countertop and glass back-splash. I think if you sense a kitchen with some nice color you are right; additionally just open a door and your outside ! The new BATHROOM with a GREY and WHITE color theme will have white subway tile and glass shower doors and other designer touches. The look is fresh, light and sophisticated; its very comfortable size another big extra. The oak floors will look like new as well ; an impressive apartment getting a total makeover. Pets: The owner will accept 1/2 cats on approval .The owner pays the heat and hot water. This is an outstanding apartment . Almost done . You get terrific neighbors as an additional perk ! The subway is 24/7, Carroll Street subway and its a block away ! Are you looking for a very fine garden rental ? Finders keepers :-). 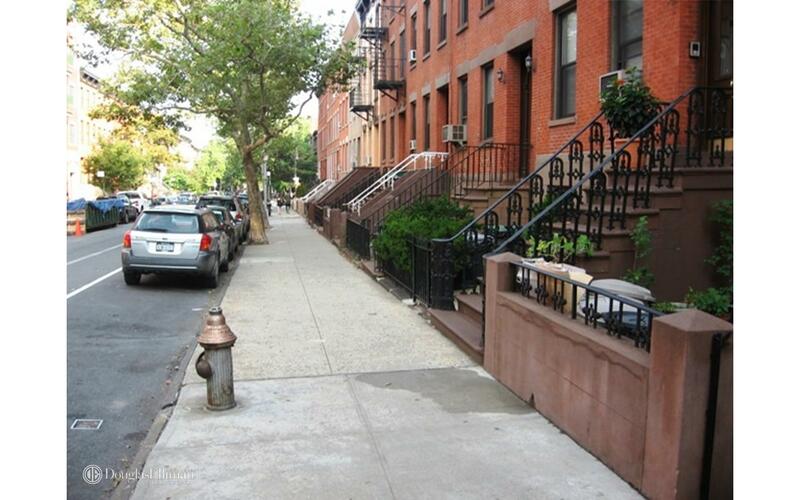 This unit is located at 324 Union St, a apartment in Carroll Gardens. Built in 1900, this pre-war low rise property has 4 units.